Locating people so you can plan for their needs following a natural disaster is one of the areas being investigated by recipients of Land Information New Zealand (LINZ) inaugural Geographic Information Science (GIS) scholarships. LINZ Deputy Chief Executive, Location Information, Jan Pierce congratulates this year’s recipients and says the aim of the GIS scholarships is to grow a sufficient supply of skilled people with geospatial skills. Matthew is a studying toward a Master of Science in Disaster Risk and Resilience at the University of Canterbury. His thesis topic explores how big data and geospatial information can produce new tools to help locate transient populations, such as international visitors. Myra is studying for a Bachelor of Science (double major Physical Geography & Environmental Science) at the University of Canterbury. Katherine is studying for a Bachelor Resource & Environmental Planning at Massey University. 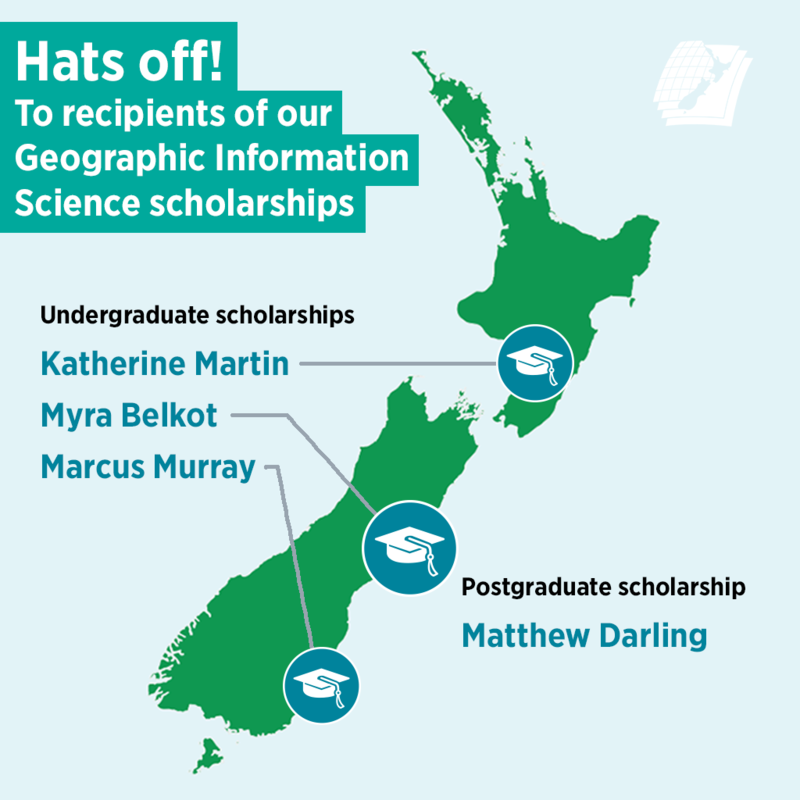 Marcus is studying for a Bachelor of Applied Science (majoring in GIS) at the University of Otago. The total course fees for these three scholarship are within LINZ’s $5,000 undergraduate scholarship budget. All scholarships are for fees for GIS-related courses that are successfully completed during the 2019 academic year.